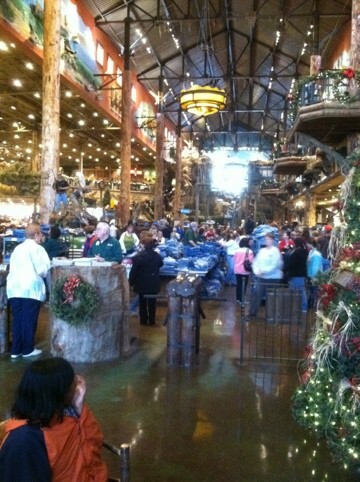 I’m patiently waiting for doors to open at Bass Pro Shops. While they wrestle for bait and fleece, il be sitting at the in store Starbucks watching the mayhem. And never mind. They closed down the Starbucks. Now I’m sitting in front of the fire. Not a bad start. I just wish I had coffee. I love Black Friday shopping. There’s something about the rush of it all that I so look forward to every year…haha.